Adorable!! 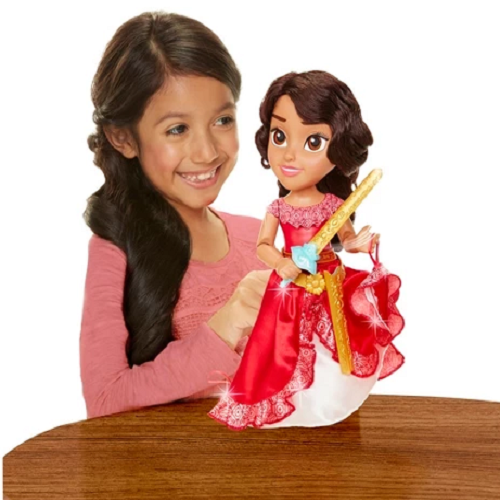 Hurry over to Target and get this Elena of Avalor Action & Adventure Doll for Only $9.89! (Reg.$20). Whether it’s battling Shuriki or proving to her grandparents that she is indeed ready to rule Avalor, this is Elena’s time to shine! With The Action and Adventure Disney Elena of Avalor Doll, you can protect and dance to the music of Avalor. Elena sings “My Time” & says over 20 phrases! This action packed doll will captivate and entertain any Elena of Avalor fan.